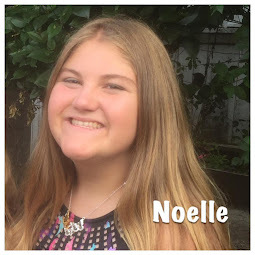 It seems that Noelle likes to dress up and play "the Mom," while calling me "daughter" as a fun way to pass the time. 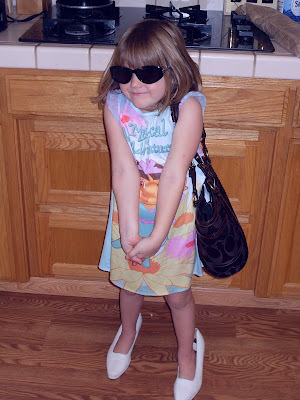 She puts on a pair of dress up shoes (or mine if she can get them to stay on), hangs my purse on her shoulder, and in this case, put on my sunglasses. She gets a little bossy and starts ordering me around, because apparently that's what a mom does.